“#LOVEWINS was started on October 3rd, two days after the 2017 Las Vegas shooting, because my timeline was flooded with stories about him. It greatly saddened me because being there that night, I saw humanity answer back with ‘not today, evil.’ I simply wanted to flood my timeline with #LOVEWINS moments of happiness and love that people had been experiencing. I needed that to combat all my racing thoughts as I was trying to process what I had just been through. It has been a whirlwind of events, emotions and movement ever since, and my little idea has turned into a full blown movement. 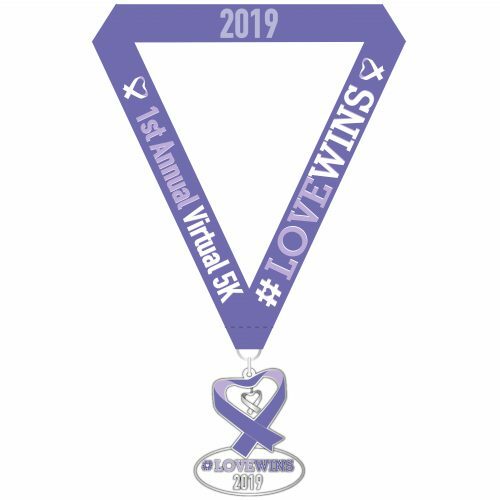 Join the 2019 #LOVEWINS virtual 5k to support this movement. 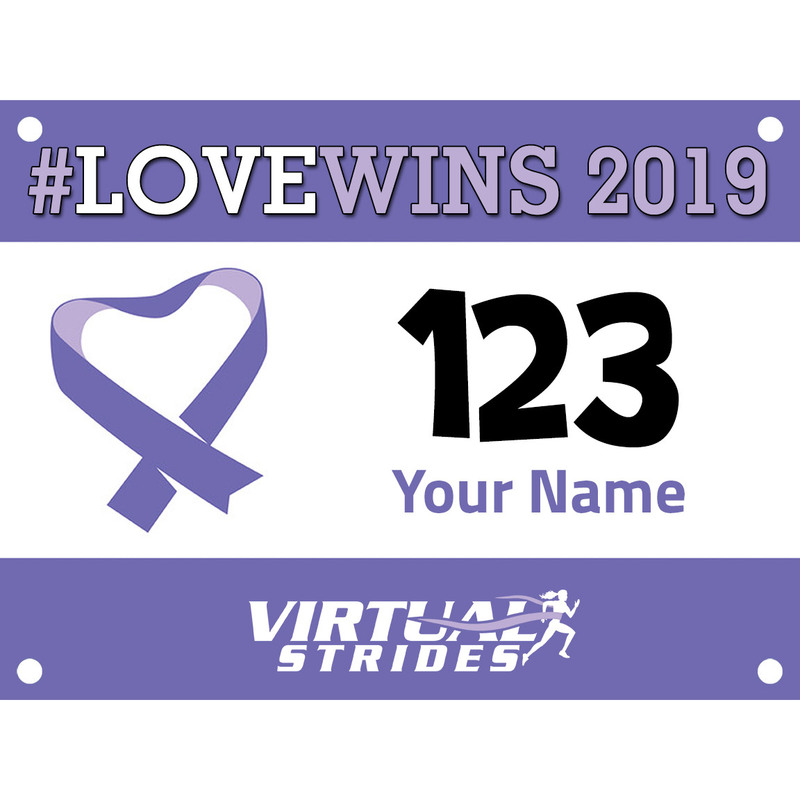 Run or walk whenever and wherever you want to support the cause. All participants will receive a #LOVEWINS ribbon medal featuring a dangling ribbon charm. 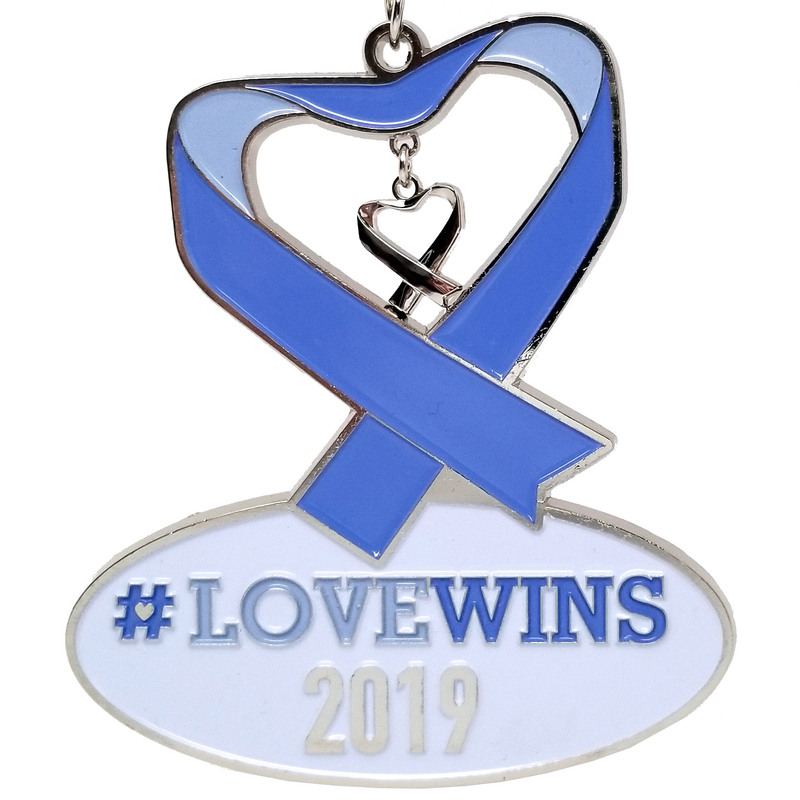 The #LOVEWINS mission is to Honor and remember the 58 lives lost in Las Vegas on October 1, 2017 by performing random acts of kindness and remaining a constant foundation of support for the Route 91 Family. Our vision is to spread love. To make it known that although there was a tragic event that took place and took the lives of 58 amazing people, hate will not prevail. We will move forward and make sure they are not forgotten. We want to maintain a level of support for the angels’ families and the injured survivors. We plan to start college funds for the children left without a parent, send flowers to a mother who no longer has her child, and genuinely be there for everyone who needs support. We will forever honor our 58 angels, reminding the world that LOVE WINS ALWAYS. Virtual Strides Partner Event: This event is part of the Virtual Strides Partners Program. #LOVEWINS will receive 100% of the net proceeds from this event after Virtual Strides’ partner costs are deducted.